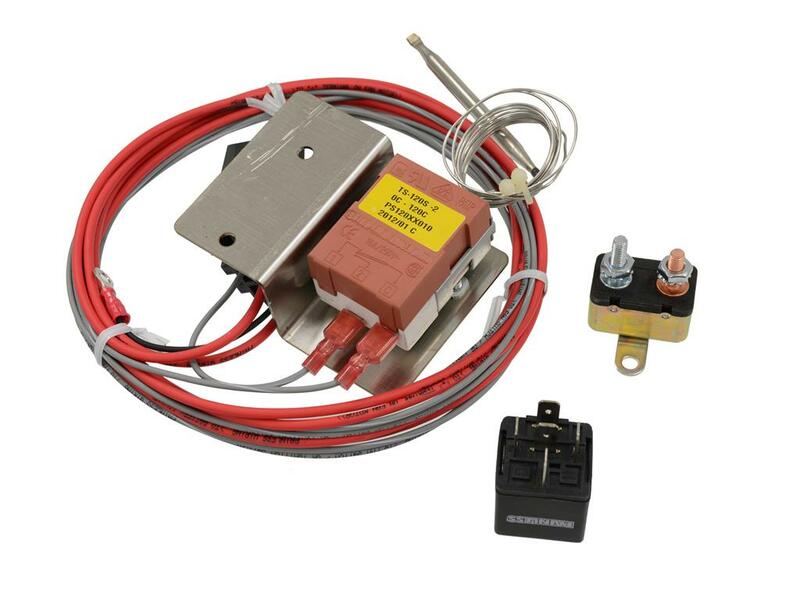 Fan Relay Switch enables you to adjust your fan's on and off start time. Adjustment can be from 145 degrees to 240 degrees. Running your car at a cooler temperature prolongs engine's life and increases the horsepower. This kit is designedto allow a wide range of temperature adjustments for your electric fan. A bulb at the top of the capillary tube is designed to probe or be attached to the top or hottest portion of the radiator. The adjustment knob may be used to set a precise temperature desired for fan activation. The mounting brackets are made of brushed stainless steel for good locks and durability. 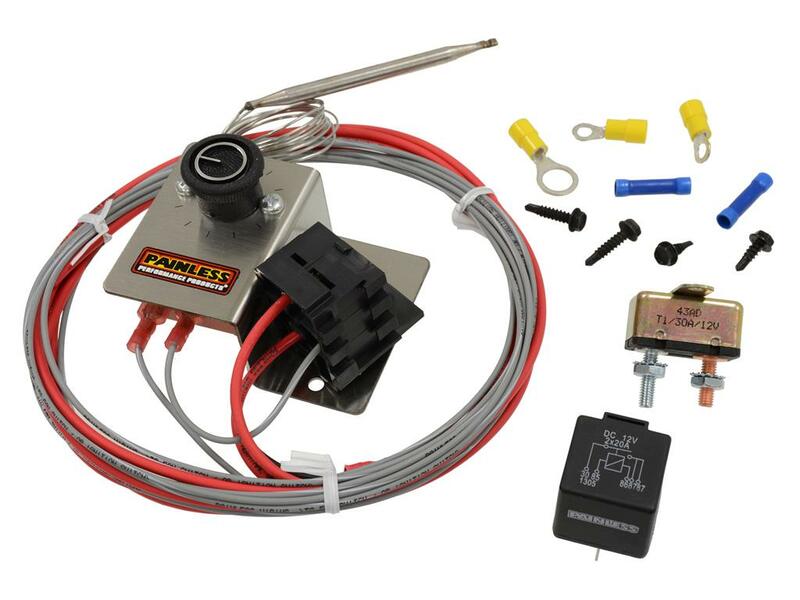 This complete kit includes the adjustable thermostat with bracket, a 40 AMP relay, a 30 AMP circuit breaker for overall protection, wiring, terminals and mounting hardware. NOTE: Temperature refers to the temp of the capillary tube, not the coolant temp. Temperature range in degrees - 32F to 248F.